Not so long ago, the raw denim community was all about high contrast fades. Nowadays, incredible vintage fades are popping up all over the place; they are becoming much more popular and therefore much more desirable. 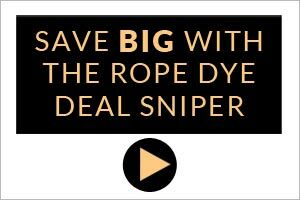 In this guide, we take a look at what constitutes a vintage fade, the deciding factors, and the best road to achieving that look of just having been pulled from a mine. What is a Vintage Fade? Vintage fades are characterised by much more subtle wear patterns in comparison to the stark white and electric blue you may be used to. Think back to the Nevada Jeans or other vintage examples out of the Levi’s archive. These fades have a beauty all of their own. The seasoned denimhead will probably have come to appreciate these refinements and in some cases prefer them to the high contrast fades. A high contrast fade achieved on a pair of Lee 101s jeans vs a vintage fade on a pair of Big John Rare 008 Jeans. Like all good things, starting out on the right foot is essential to your intended goal. 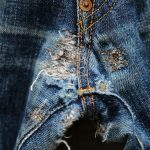 Although it is possible to achieve vintage fades on all denim, some will be more disposed to fading in this way than others. 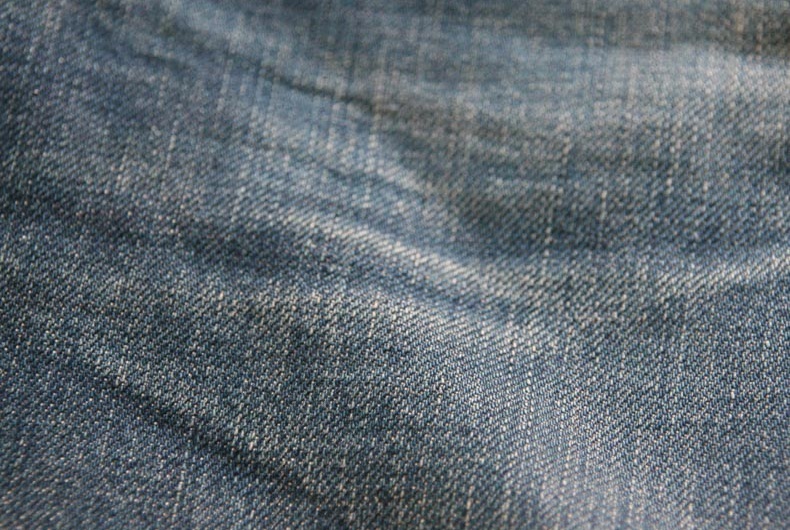 It is raw denim 101 that fades come from the cotton yarn only being dyed on the outside of the strand. As you wear the jeans, the indigo dye rubs off more on areas exposed to abrasion such as around the crotch, the seat, and the backs of the knees. The white core of the cotton yarn gradually becomes visible in these areas causing a variation in the indigo blue colour. These are your fades and they are unique to you because no one wears jeans in exactly the same way. If you’re looking for vintage fades, you should do things a little differently. First of all, you should consider what kind of denim you wear. The popularity of the high contrast fades was caused mills to develop denims that are engineered for high contrast wear patterns. Varying dyeing methods, amounts of sulphur, and the type of indigo all have an influence on how the denim will fade. The good news is that many of the dedicated repro brands also love the vintage fade look and have fabrics crafted to achieve just that. 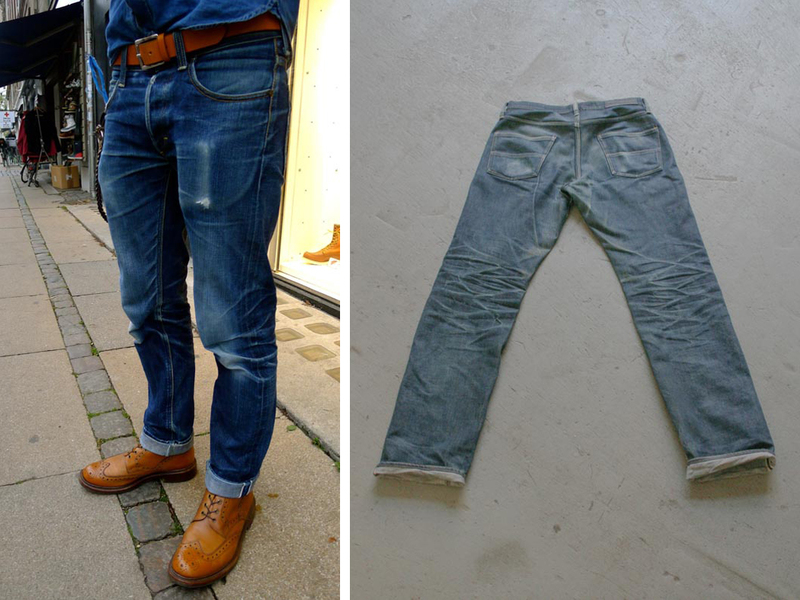 Secondly, you should consider the weight of the denim when you’re looking for vintage fades. The heavy denims that have come to the fore over the last years go hand in hand with the popularity of high contrast fades. The heavier the denim, the heavier the creases will be, and thus the heavier the wear on these creases. This leads to your whiskers and honeycombs. 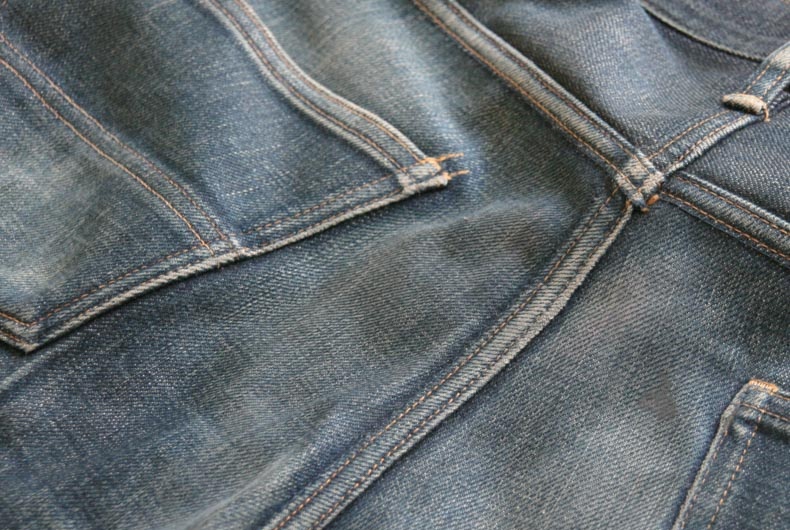 Lighter denims tend to have creases that do not set in so stiffly and therefore see less wear and less definition. Vintage denim from the likes of Levi’s, Lee and Wrangler was around the 12 oz. mark, which is a lightweight by the raw denim community these days. The fades we see from vintage pieces reflect this lighter weight with less definition on the creases and a more homogeneous fade pattern throughout. How to break in your jeans with Tellason and Todd Blubaugh. 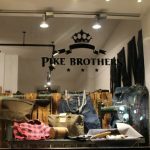 How to wash raw denim? We answer denim’s most controversial question! Repairing your jeans: We showed you when, now we show you how!